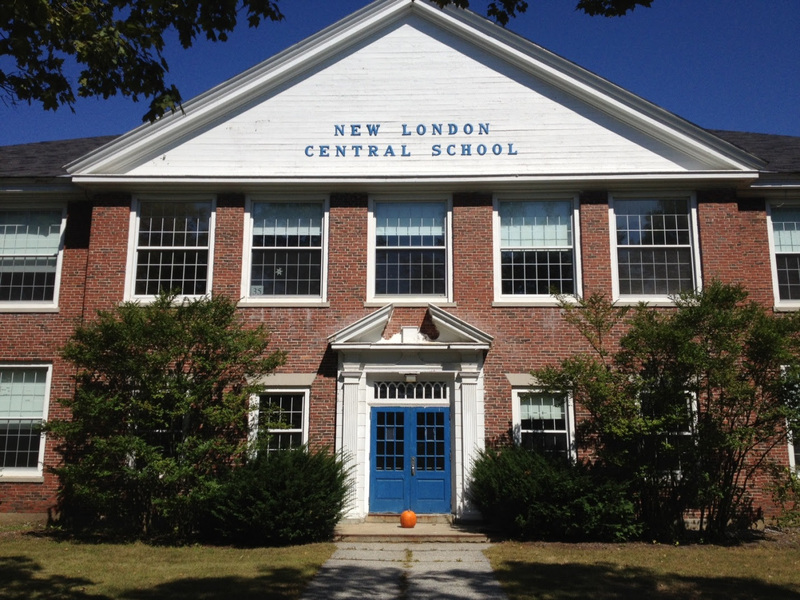 The fate of New London’s 1941 building has been up in the air since the school closed in 2007. Several attempts were made in past years to establish a community center in the old Central School Building but raising funds for the project have come up short. About 30 people took the tour of the building prior to a public hearing on what to do with the building. An estimated price tag of $1-2 million dollars was given to make the building serviceable for roof repairs and upgrading the bathrooms for handicapped accessibility. The 1941 Building shares a wall and sets on the same parcel of land as the SAU office, New London’s Elementary School and fields used for elementary sports. Which limits uses for the building. Joe Cardillo a former business owner in New London said that when they moved the Middle School he and other business owners lost a lot of foot traffic. David Kidder who worked on the 1941 committee last year to get a community center established feels the problems can be solved. The Kearsarge School Board has no money in its budget to raze the building in the 2015-2016 or the 2016-2017. Anyone wishing to get involved with the 1941Building should contact the Kearsarge School Board. Rte 12-A in Cornish was blocked off for a short time last night while law enforcement officers from Cornish, Claremont, Plainfield, NH State Police and NH Fish and Game responded to a domestic assault. Cornish and Plainfield Chiefs responded to a residence on Route 12 A in Cornish to discover three subjects were inside with a suspect with a shotgun. The police were able to help the three escape safely but the suspect Joshua Colby 36 took off with a shotgun. Police called Claremont, NH State Police, and NH Fish and Game for back. Colby was found and complied with the officers’ demands to drop the weapon. Colby was taken into custody without further incident and lodged at the Sullivan County House of Corrections. Colby will be arraigned on Friday, November 13 on Second Degree Assault and Criminal Threatening with a Weapon charges, both Class B Felonies. It maybe Friday the 13 but it is good news for drivers who travel from Lebanon to Hartford. The NHDOT says the new US Route 4 Bridge over the Connecticut River connecting the NH and VT is expected to open to traffic sometime today, depending on the final paving.